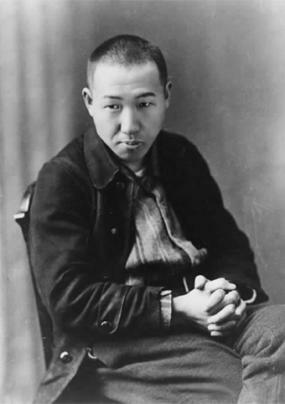 Miyazawa Kenji (1896-1933) is one of Japan’s best-loved and most influential writers. But for whatever reason, he’s not well-known overseas. This post is my attempt to share just a tiny bit of Miyazawa’s enormous influence over anime to you English-speaking anime fans. I’m sure this should go without saying, but anime adaptations of literature aren’t just restricted to light novels. Even recent adaptations like Shin Sekai Yori draw from novels rather than light novels. I don’t wish to draw up pompous distinctions about “proper” literature, but I think it’s important to remember that anime adaptations draw from a wider pool of stories than popular YA-targeted franchises. Hell, my earlier post on Shakespeare adaptations should attest to that. So what about Miyazawa Kenji? Just a cursory glance at his MAL page should tell you that a good number of his stories have been adapted into anime. The list is incomplete, I believe. Many of the anime adaptations were never cataloged because they predated VHS recording, or they only ever aired as TV specials. These more obscure adaptations are probably lost to the world forever, which is a real shame. But given how many newer adaptations still get made, Miyazawa Kenji is still very much relevant in today’s anime landscape. Miyazawa’s works aren’t simply adapted into anime – they’ve entered public consciousness the way few stories manage. Most Japanese people have read at least some of Miyazawa’s stories. So it’s no surprise they are constantly alluded to and re-imagined in different contexts, anime notwithstanding. Night on the Galactic Railroad is probably Miyazawa’s most famous work outside Japan. It certainly gets alluded to in anime the most often. Mainstream English-speaking anime viewers (especially bloggers) may have heard the story being discussed in Mawaru Penguindrum. There have been plenty of blog posts written exploring the link between Miyazawa’s ideas of fate and what Ikuhara presents in Penguindrum. Not only does Penguindrum make use of similar motifs – like the train going in one direction and the apple – the characters outright mention the characters of NotGR in the very first episode. Personally, I first heard of the name Miyazawa Kenji through the film adaptation of Book Girl (or Bungaku Shojo). Night of the Galactic Railroad was a key plot point in the film. While I thought the main plot of Book Girl was uninspiring, I found myself really captivated by the beautiful imagery of a train travelling through the night sky. 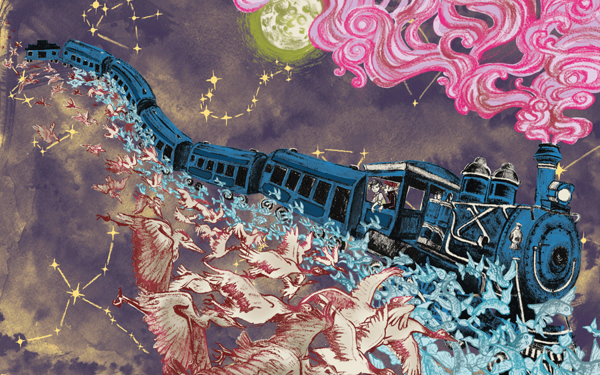 Protip: If you see the motif of a flying train in a work of Japanese fiction, it is probably an allusion to the afterlife, as imagined by Miyazawa Kenji. “You really like Miyazawa Kenji…” Yukinoshita remarked. It was an exchange that could only occur between the third and first ranked students in Japanese respectively. Even Hatsune Miku is into Miyazawa Kenji, singing Miyazawa’s poetry like all Vocaloids are clearly designed to do. As you can see, Miyazawa’s stories have a considerable amount of cultural penetration and you should probably read them sometime. So who was Miyazawa Kenji and what sort of stories did he write? Miyazawa is often referred to as a children’s author, which is technically true in the sense that most Japanese people are first exposed to his stories as children. But like most great children’s literature, Miyazawa’s stories are appealing no matter how old you are. A devout Buddhist, Miyazawa was a poet above all else, and he was concerned with writing down human truths. His stories are often steeped in the beauty of the natural world, reflecting the surroundings he lived in. He grew up in a remote part of the Tohoku region in an age where Japan was rapidly embracing imperialism as its foreign policy. Miyazawa’s stories are almost defiantly innocent and gentle, yet an undertone of sadness and awareness of the cruelty of people remains, particularly in stories like The Nighthawk Star and Oppel and the Elephant. Miyazawa died young, aged only thirty-seven at the time. On top of that, only two of his books were published in his lifetime. He only received recognition and respect for his literary achievements after he died. Throughout life, he was a humble man who devoted much of his time and energies to improving the lives of the poor farmers around him. While he was clearly learned in Western philosophy (there is, after all, some Christian imagery in Night of the Galactic Railroad), his heart remained in rural Japan. I believe that part of the resurgence of Miyazawa’s work in modern Japan can be explained by the growing desire to return to one’s roots in a technology-saturated age. In reading Miyazawa, one is overwhelmed with the sense that there is more to living than simply existing. I have special fondness for Miyazawa Kenji because he happens to be the first (and so far only) literary author I’ve read in the original Japanese. The reason even a filthy gaijin like me could read and appreciate his work is because of the beautiful simplicity of Miyazawa’s prose. It’s warm and rich with texture, written with childlike wonderment of the world. The published translations I have read have also been a joy to read. If you can read moonrunes, you can enjoy his entire works for free here. But if you can’t understand Japanese, have no fear. All of his major works have been translated into English and you can find them online if you Google them. I still haven’t read all of Miyazawa Kenji’s major works, nor have I watched all the important anime adaptations, so writing this post has been a journey of discovery for me. Researching Miyazawa Kenji anime adaptations took me to the very roots of anime’s history as a medium. The very first anime broadcast on domestic television, for instance, was an animated retelling of Oppel and the Elephant. Articles on AniPages and the Nishikata Film Review also piqued my interest. 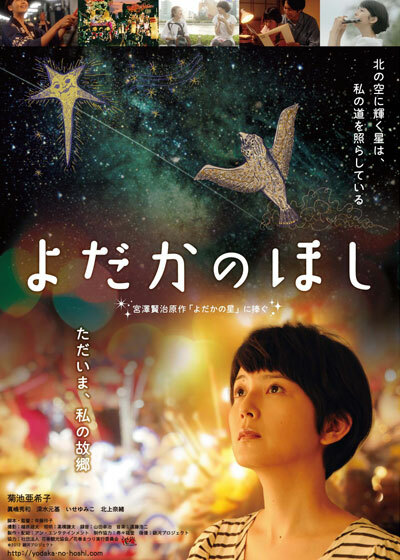 It seems that many talented directors have tackled Miyazawa and attempted to bring his stories to life. It made me very excited to start watching some of this anime and to appreciate them through the lens of a literature enthusiast. I may be a light novel translator, but my interest in Japanese literature goes well beyond light novels. In the meantime, I’ll be watching all the Miyazawa adaptations I can get my hands on. Posted on August 29, 2014, in Anime Analysis and tagged bungaku shojo, galaxy express 999, Gauche the Cellist, Kenju's Wood, Matasaburo of the Wind, mawaru penguindrum, miyazawa kenji, Night of the Festival, night on the galactic railway, shin sekai yori, The Earthgod and the Fox, The Fire Stone, The First Deer Dance, the nighthawk star, The Police Chief, The Restaurant of Many Orders, vocaloids, Wildcat and the Acorns, yahari ore no seishun love come wa machigatteiru. Bookmark the permalink. 22 Comments. Good post and very informative Froggy. I think I’ve watched Bungaku Shojo and remember the reference to classic literature (though I try to remember as little as possible about the show >.<). Can I ask was it from hearing Miyazawa Kenji referenced in 'Book Girl' that you decided to do a bit of research or was it something else that finally got you interested in him? Book Girl did get me interested, but it wasn’t until I started reading Miyazawa’s poetry for my Japanese classes that I was inspired to do my own research. This was only a few weeks ago, actually, so there’s a lot I’m still discovering. I’m going to a Comicon on Sunday as Miku! Really great post, too. I love to learn about new people. Even though I live in Japan, I don’t recall ever hearing about Miyazawa Kenji-san before. So, this was very helpful! I love to learn about new people! Excellent post. I think I’ve seen the 1985 Night on the Galactic Railroad so I’m particularly looking forward to that review. There’s also a Night on the Galactic Railroad / Galaxy Express 999 shout out in ARIA (the Natural IIRC) of all things, so you’re right that it pops up all over the place. And yeah, Galactic Railroad is pretty ubiquitous, huh. There are probably way more shout outs in earlier anime that I’ve watched that have completely slipped out of memory. You’ve sparked my interest to be honest. I need to dive to books again besides manga, but it hasn’t proven a very good attempt. Btw thanks a lot for introducing me to Oregairu. I'm watching it this period and I like it lots! If you’ve been wanting to get back into books, Miyazawa’s pretty good for that since his writing is so light and easy to read. for the moment it’s just watching but I’ll certainly take a look at your translations! Hmm…, I read the story of The Restaurant of Many Orders from the link you provided at the Oregairu chapter, which to be honest was a bit like the fairy tale stories that I read during my childhood in my language, and though I came to know a little about the author from the site where the story was hosted I had no idea that his works had such a deep impact on Japanese culture. Any tips on self-learning or am I deluding myself? Yep, there’s a definite fairytale-like quality to Miyazawa’s stories, which is what makes them so appreciable across cultures. As for me, I’ve been Japanese language courses for about six years now, so it’s a slow process. Don’t expect to learn Japanese grammar and kanji overnight! But it’s a rewarding task, especially if you stick with it. And you can definitely learn a second language fluently even when you’re an adult or if you grew up as a monolingual. Case in point: me. My advice would be to start small and make the task more fun for yourself by watching anime and reading LNs and visual novels. Then slowly branch out to other media. The important thing is to immerse yourself in the language every day! I think the Phantom Train might have drawn from the general idea of the Galactic Railroad and then combined that with Charon’s Ferry in order to produce a more sinister effect. That fits FFVI’s way of doing things. I mean, it’s a steampunk setting, but it also draws a lot from the JRPG fantasy tradition, which appropriates so much from both western and eastern mythology. Miyazawa’s particular conception of the flying train has definitely shaped how the average Japanese person would perceive this trope, though. Night on the Galactic Railroad (the cat one) has been sitting on my hard drive for months, thanks for reminding me about it! You’re welcome! You definitely should give it a watch, although you’re probably likely to appreciate it more if you have familiarity with the original story. It assumes the viewers know the story and dwells more on the atmosphere of the tale. Got it. Check out the original story first, will do. 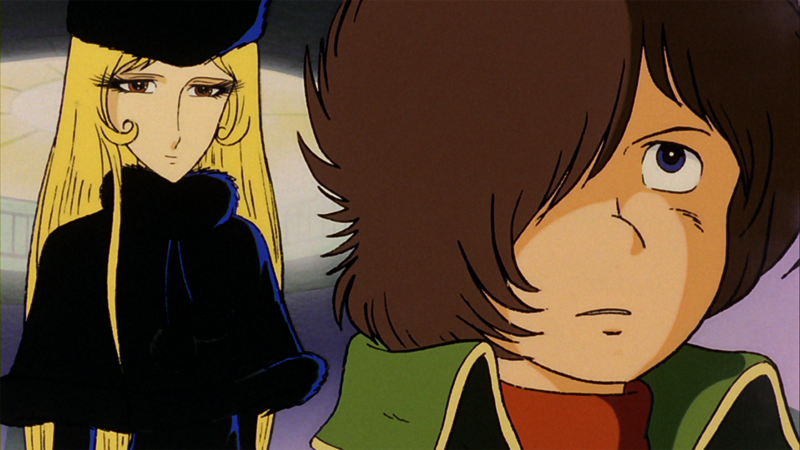 Galaxy Express 999 was actually one of the earliest – if not the first – anime I saw. I didn’t know it was anime then, though.